Symbian was a closed-source mobile operating system (OS) and computing platform designed for smartphones and currently maintained by Accenture. Symbian was originally developed by Symbian Ltd., as a descendant of Psion's EPOC and runs exclusively on ARM processors, although an unreleased x86 port existed. The current form of Symbian is an open-source platform developed by Symbian Foundation in 2009, as the successor of the original Symbian OS. Symbian was used by many major mobile phone brands, like Samsung, Motorola, Sony Ericsson, and above all by Nokia. It was the most popular smartphone OS on a worldwide average until the end of 2010, when it was overtaken by Android. On 11 February 2011, Nokia announced that it would use Microsoft's Windows Phone OS as its primary smartphone platform, and Symbian will be its franchise platform, dropping Symbian as its main smartphone OS of choice. On 22 June 2011 Nokia made an agreement with Accenture for an outsourcing program. Accenture will provide Symbian-based software development and support services to Nokia through 2016; about 2,800 Nokia employees became Accenture employees as of October 2011. The transfer was completed on 30 September 2011. The Nokia 808 PureView is officially the last Symbian smartphone. In November 2010, the Symbian Foundation announced that due to changes in global economic and market conditions (and also a lack of support from members such as Samsung and Sony Ericsson), it would transition to a licensing-only organisation; Nokia announced it would take over the stewardship of the Symbian platform. Symbian Foundation will remain the trademark holder and licensing entity and will only have non-executive directors involved. On 1 January 2014, with Nokia shifting their developer support away from Symbian, developers will not be able to publish new Symbian applications or content into the Nokia Store. However, existing Nokia Store content can still be downloaded. Nokia currently recommends that developers use Qt Quick with QML, the new high-level declarative UI and scripting framework for creating visually rich touchscreen interfaces that allows development for both Symbian and MeeGo; it will be delivered to existing Symbian^3 devices as a Qt update. When more applications gradually feature a user interface reworked in Qt, the legacy S60 framework (AVKON) will be deprecated and no longer included with new devices at some point, thus breaking binary compatibility with older S60 applications. From 2010, Symbian switched to using standard C++ with Qt as the main SDK, which can be used with either Qt Creator or Carbide.c++. Qt supports the older Symbian/S60 3rd (starting with Feature Pack 1, aka S60 3.1) and Symbian/S60 5th Edition (aka S60 5.01b) releases, as well as the new Symbian platform. It also supports Maemo and MeeGo, Windows, Linux and Mac OS X.
Symbian OS previously used a Symbian specific C++ version, along with Carbide.c++ integrated development environment (IDE), as the native application development environment. The Symbian kernel (EKA2) supports sufficiently fast real-time response to build a single-core phone around it—that is, a phone in which a single processor core executes both the user applications and the signalling stack. The real-time kernel has a microkernel architecture containing only the minimum, most basic primitives and functionality, for maximum robustness, availability and responsiveness. It has been termed a nanokernel, because it needs an extended kernel to implement any other abstractions. It contains a scheduler, memory management and device drivers, with networking, telephony and file system support services in the OS Services Layer or the Base Services Layer. The inclusion of device drivers means the kernel is not a true microkernel. The Base Services Layer is the lowest level reachable by user-side operations; it includes the File Server and User Library, a Plug-In Framework which manages all plug-ins, Store, Central Repository,DBMS and cryptographic services. It also includes the Text Window Server and the Text Shell: the two basic services from which a completely functional port can be created without the need for any higher layer services. There is also a large volume of user interface (UI) Code. Only the base classes and substructure were contained in Symbian OS, while most of the actual user interfaces were maintained by third parties. This is no longer the case. The three major UIs — S60, UIQ and MOAP — were contributed to Symbian in 2009. Symbian also contains graphics, text layout and font rendering libraries. Many other things do not yet fit into this model — for example, SyncML, Java ME providing another set of APIs on top of most of the OS and multimedia. Many of these are frameworks, and vendors are expected to supply plug-ins to these frameworks from third parties (for example, Helix Player for multimedia codecs). This has the advantage that the APIs to such areas of functionality are the same on many phone models, and that vendors get a lot of flexibility. But it means that phone vendors needed to do a great deal of integration work to make a Symbian OS phone. Symbian, as it advanced to OS version 7.0, began to spun off into several different user interfaces or UIs, each back by a certain company or group of companies. Unlike Android OS with its different cosmetic UIs, Symbian UIs are deeper in code modifications and integrations (therefore referred to as UI platforms). Things began more complicated when applications developed for different Symbian UIs platforms are not compatible with each other, and this led to OS fragmentation. Also called Series 60, it was backed mainly by Nokia. 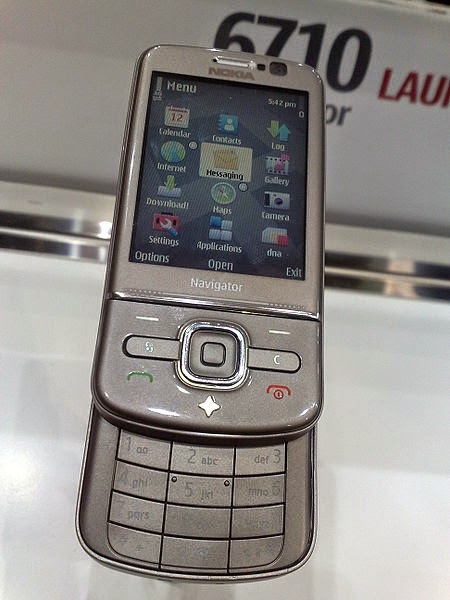 There are several editions of this platform, appearing first as S60 (1st Edition) on Nokia 7650. 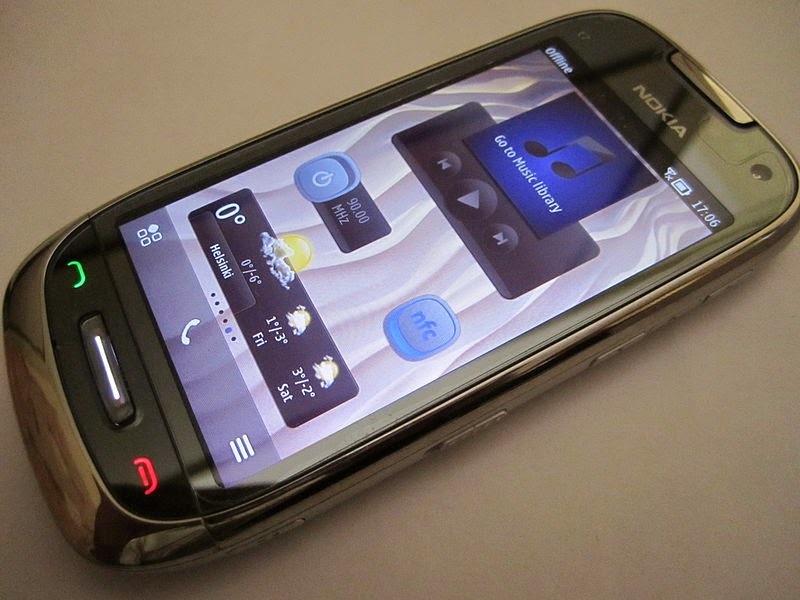 It was followed by S60 2nd Edition (Nokia N70, S60 3rd Edition (Nokia N73) and touch-based S60 5th Edition (Nokia N97). The name, S60, was dropped after the formation of Symbian Foundation and renames itself as Symbian^1, 2 and 3. Used by Nokia Communicators such as Nokia 9300i. Touch and button based. Only phone using this platform is Nokia 7710. 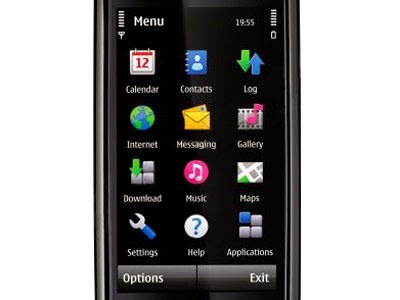 Backed mainly by Sony Ericsson and then Motorola, it is compatible with both buttons and touch/stylus based inputs. The last major release version is UIQ3.1 in 2008, on Sony Ericsson G900. It was discontinued after the formation of Symbian Foundation, and the decision to consolidate different Symbian UI versions into one led to the adoption of S60 as the version going forward. Over the course of 2009–2010, Motorola, Samsung, LG, and Sony Ericsson announced their withdrawal from Symbian in favour of alternative platforms including Google's Android, Microsoft's Windows Phone. In Q2 2012 according to IDC worldwide market share has dropped to an all-time low of 4.4%. The users of Symbian in the countries with non-Latin alphabets (such as Russia, Ukraine and others) have been criticizing the complicated method of language switching for many years. For example, if a user wants to type a Latin letter, he must call the menu, click the languages item, use arrow keys to choose, for example, the English language from among many other languages, and then press the 'OK' button. After typing the Latin letter, the user must repeat the procedure to return to his native keyboard. This method slows down typing significantly. In touch-phones and QWERTY phones the procedure is slightly different but remains time-consuming. All other mobile operating systems, as well as Nokia's S40 phones, enable switching between two initially selected languages by one click or a single gesture. Symbian OS is subject to a variety of viruses, the best known of which is Cabir. Usually these send themselves from phone to phone by Bluetooth. So far, none have taken advantage of any flaws in Symbian OS – instead, they have all asked the user whether they would like to install the software, with somewhat prominent warnings that it can't be trusted, although some rely on social engineering, often in the form of messages that come with the malware, purporting to be a utility, game or some other application for Symbian. However, with a view that the average mobile phone user shouldn't have to worry about security, Symbian OS 9.x adopted a UNIX-style capability model (permissions per process, not per object). Installed software is theoretically unable to do damaging things (such as costing the user money by sending network data) without being digitally signed – thus making it traceable. Commercial developers who can afford the cost can apply to have their software signed via the Symbian Signed program. Developers also have the option of self-signing their programs. However, the set of available features does not include access to Bluetooth, IrDA, GSM CellID, voice calls, GPS and few others. Some operators have opted to disable all certificates other than the Symbian Signed certificates. Fontal.A is an SIS file trojan that installs a corrupted file which causes the phone to fail at reboot. If the user tries to reboot the infected phone, it will be permanently stick on the reboot, and cannot be used without disinfection – that is, the use of the reformat key combination which causes the phone to lose all data. Being a trojan, Frontal cannot spread by itself – the most likely way for the user to get infected would be to acquire the file from untrusted sources, and then install it to the phone, inadvertently or otherwise. A new form of malware threat to Symbian OS in the form of 'cooked firmware' was demonstrated at the International Malware Conference, MalCon, December 2010, by Indian hacker Atul Alex. 8086-family processor and a 16-bit architecture. EPOC16 was a single-user preemptive multitasking operating system, written in Intel 8086 assembler language and Cand designed to be delivered in ROM. It supported a simple programming language called Open Programming Language (OPL) and an integrated development environment (IDE) called OVAL. SIBO devices included the: MC200, MC400, Series 3 (1991–98), Series 3a, Series 3c, Series 3mx, Siena, Workabout and Workabout mx. The MC400 and MC200, the first EPOC16 devices, shipped in 1989. EPOC16 featured a primarily 1-bit-per-pixel, keyboard-operated graphical interface — the hardware for which it was designed originally had pointer input in the form of a digitiser panel. The first version of EPOC32, Release 1 appeared on the Psion Series 5 ROM v1.0 in 1997. Later, ROM v1.1 featured Release 3. (Release 2 was never publicly available.) These were followed by the Psion Series 5mx, Revo / Revo plus, Psion Series 7 / netBook and netPad (which all featured Release 5). EPOC32 was a pre-emptive multitasking, single user operating system with memory protection, which encourages the application developer to separate their program into an engine and aninterface. The Psion line of PDAs come with a graphical user interface called EIKON which is specifically tailored for handheld machines with a keyboard (thus looking perhaps more similar to desktop GUIs than palmtop GUIs). However, one of EPOC's characteristics is the ease with which new GUIs can be developed based on a core set of GUI classes, a feature which has been widely explored from Ericsson R380 and onwards. The first phone using ER5u, the Ericsson R380 was released in November 2000. It was not an 'open' phone – software could not be installed. Notably, a number of never-released Psion prototypes for next generation PDAs, including a Bluetooth Revo successor codenamed "Conan" were using ER5u. The 'u' in the name refers to the fact that it supported Unicode. The OS was renamed Symbian OS and was envisioned as the base for a new range of smartphones. This release is sometimes called ER6. Psion gave 130 key staff to the new company and retained a 31% shareholding in the spin-off. Development of different UIs was made generic with a "reference design strategy" for either 'smartphone' or 'communicator' devices, subdivided further into keyboard- or tablet-based designs. Two reference UIs (DFRDs or Device Family Reference Designs) were shipped – Quartz and Crystal. The former was merged with Ericsson's 'Ronneby' design and became the basis for theUIQ interface; the latter reached the market as the Nokia Series 80 UI. Later DFRDs were Sapphire, Ruby, and Emerald. Only Sapphire came to market, evolving into the Pearl DFRD and finally the Nokia Series 60 UI, a keypad-based 'square' UI for the first true smartphones. The first one of them was the Nokia 7650 smartphone (featuring Symbian OS 6.1), which was also the first with a built-in camera, with VGA (0.3 Mpx = 640×480) resolution. Other notable S60 Symbian 6.1 devices are the Nokia 3650, the short lived Sendo X and Siemens SX1 - the first and the last Symbian phone from Siemens. First shipped in 2003. This is an important Symbian release which appeared with all contemporary user interfaces including UIQ (Sony Ericsson P800, P900, P910, Motorola A925, A1000),Series 80 (Nokia 9300, 9500), Series 90 (Nokia 7710), Series 60 (Nokia 3230, 6260, 6600, 6670, 7610) as well as several FOMA phones in Japan. It also added EDGE support and IPv6. Java support was changed from pJava and JavaPhone to one based on the Java ME standard. First shipped in 2004, one of its advantages would have been a choice of two different kernels (EKA1 or EKA2). However, the EKA2 kernel version did not ship until Symbian OS 8.1b. The kernels behave more or less identically from user-side, but are internally very different. EKA1 was chosen by some manufacturers to maintain compatibility with old device drivers, while EKA2 was a real-time kernel. 8.0b was deproductised in 2003. An improved version of 8.0, this was available in 8.1a and 8.1b versions, with EKA1 and EKA2 kernels respectively. The 8.1b version, with EKA2's single-chip phone support but no additional security layer, was popular among Japanese phone companies desiring the real-time support but not allowing open application installation. The first and maybe the most famous smartphone featuring Symbian OS 8.1a was Nokia N90 in 2005, Nokia's first in Nseries. 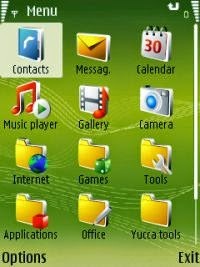 Symbian OS 9.0 was used for internal Symbian purposes only. It was de-productised in 2004. 9.0 marked the end of the road for EKA1. 8.1a is the final EKA1 version of Symbian OS. Released early 2005. It includes many new security related features, including platform security module facilitating mandatory code signing. The new ARM EABI binary model means developers need to retool and the security changes mean they may have to recode. S60 platform 3rd Edition phones have Symbian OS 9.1. Sony Ericsson is shipping the M600 and P990 based on Symbian OS 9.1. The earlier versions had a defect where the phone hangs temporarily after the owner sent a large number of SMS'es. However, on 13 September 2006, Nokia released a small program to fix this defect. Support for Bluetooth 2.0 was also added. Symbian 9.1 introduced capabilities and a Platform Security framework. To access certain APIs, developers have to sign their application with a digital signature. Basic capabilities are user-grantable and developers can self-sign them, while more advanced capabilities require certification and signing via the Symbian Signed program, which uses independent 'test houses' and phone manufacturers for approval. For example, file writing is a user-grantable capability while access to Multimedia Device Drivers require phone manufacturer approval. A TC TrustCenterACS Publisher ID certificate is required by the developer for signing applications. Released Q1 2006. Support for OMA Device Management 1.2 (was 1.1.2). Vietnamese language support. S60 3rd Edition Feature Pack 1 phones have Symbian OS 9.2. Nokia phones with Symbian OS 9.2 OS include the Nokia E71, Nokia E90, Nokia N95, Nokia N82, Nokia N81 and Nokia 5700. Released on 12 July 2006. Upgrades include improved memory management and native support for Wifi 802.11, HSDPA. The Nokia E72, Nokia 5730 XpressMusic, Nokia N79, Nokia N96,Nokia E52, Nokia E75, Nokia 5320 XpressMusic, Sony Ericsson P1 and others feature Symbian OS 9.3. Announced in March 2007. Provides the concept of demand paging which is available from v9.3 onwards. Applications should launch up to 75% faster. Additionally, SQL support is provided by SQLite. Ships with the Samsung i8910 Omnia HD, Nokia N97, Nokia N97 mini, Nokia 5800 XpressMusic, Nokia 5530 XpressMusic, Nokia 5228, Nokia 5230, Nokia 5233, Nokia 5235,Nokia C6-00, Nokia X6, Sony Ericsson Satio, Sony Ericsson Vivaz and Sony Ericsson Vivaz Pro. Used as the basis for Symbian^1, the first Symbian platform release. The release is also better known as S60 5th edition, as it is the bundled interface for the OS. Symbian^2 is a version of Symbian that only used by Japanese manufacturers, started selling in Japan market since May 2010. The version is not used by Nokia. 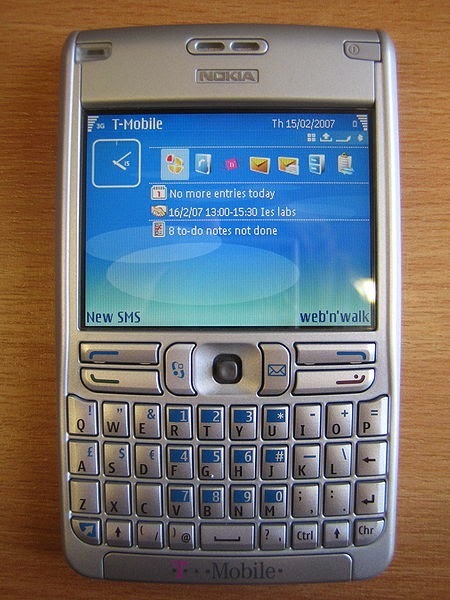 Symbian^3 is an improvement over previous S60 5th Edition and features single touch menus in the user interface, as well as new Symbian OS kernel with hardware-accelerated graphics; further improvements will come in the first half of 2011 including portrait qwerty keyboard, a new browser and split-screen text input. Nokia announced that updates to Symbian^3 interface will be delivered gradually, as they are available; Symbian^4, the previously planned major release, is now discontinued and some of its intended features will be incorporated into Symbian^3 in successive releases, starting with Symbian Anna. In the summer of 2011 videos showing an early leaked version of Symbian Belle (original name of Nokia Belle) running on a Nokia N8 were published on YouTube. Nokia officially renamed Symbian Belle to Nokia Belle in a company blog post.